Fish & Ships - Exhibition | 20 April 2019 to 11 May 2019 | Gallery Plus is located on the A149 North Norfolk Coast Road, just east of Wells at the junction to Warham, Wighton and Walsingham. In 2009 Trevor and Joanna Woods opened the doors to Gallery Plus with a strong ethos to offer the very best in original prints and paintings, contemporary glass, and ceramics. They have stuck firmly to this principle and it has rewarded them with an enduring reputation. Graham Clarke - artist, author, humorist, and one of Britain�s most popular and best-selling printmakers - was the first artist approached to exhibit in the gallery and their relationship has blossomed, with an etching of The Quay (Wells) produced in association with the gallery in 2010, which has proved enormously popular. Now in their 10th year of celebrating colour and inspiration, Gallery Plus has invited Graham back for another major exhibition, this time with a coastal theme� and they are delighted to announce that a brand new topical etching of North Norfolk �Coast with the Most� will be released at the preview. �How proud we British are of our maritime history and quite right too. If you happen to live in a county with a coastline, don�t take it for granted. Take good care of your coast as you are extra fortunate and if you love fish and like boats, even more so. So do I. Cheers. The exhibition opens with an all-day preview � all welcome to come and chat with Graham over a glass of Prosecco - on Saturday 20th April and continues until Saturday 11th May, Tuesday-Saturday 10am-4pm, plus Easter Sunday and Monday 11am-4pm. 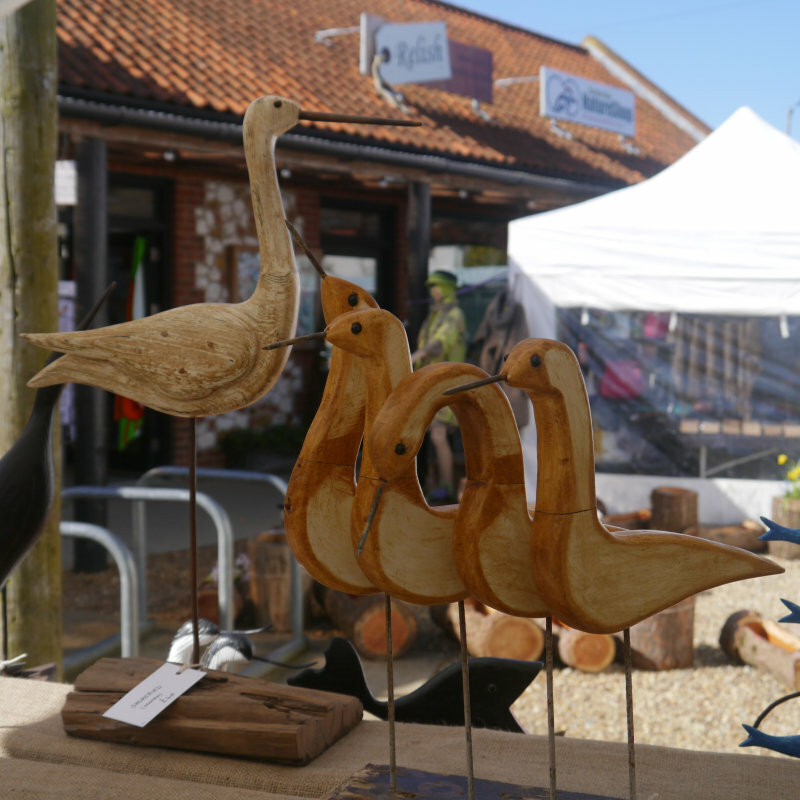 Location: Gallery Plus is located on the A149 North Norfolk Coast Road, just east of Wells at the junction to Warham, Wighton and Walsingham.